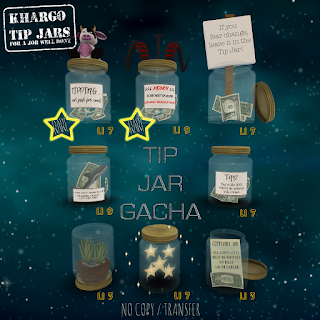 Eight New Gacha Tip Jars at the Gacha Life and the cutest Animated Dog in a Box Tip Jar at TWE12VE! There are 8 versions of our tip jar including 2 rares. 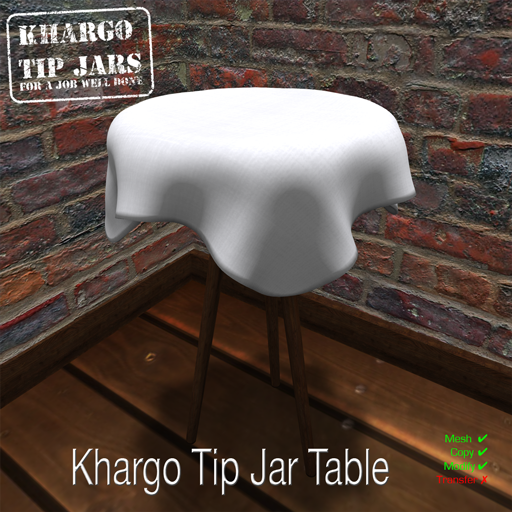 The Tip Jar Table is our group gift for The Gacha Life group - perfect to stand your tip jar on! 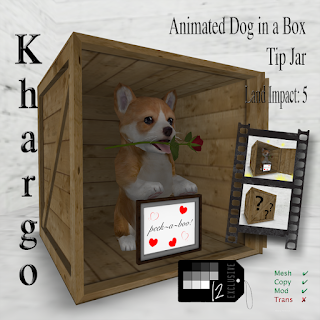 Tip the mystery box to reveal the cutest dog inside! 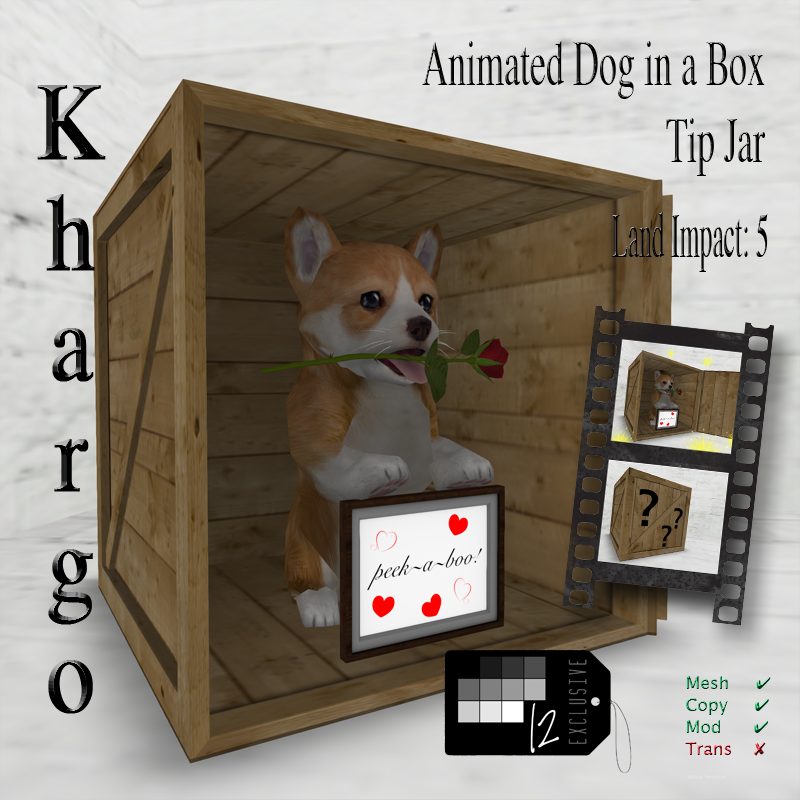 The Animated Dog in a Box Tip Jar Personal Version is available exclusively at TWE12VE for the discount price of L$499 till the end of the month.